HIT! 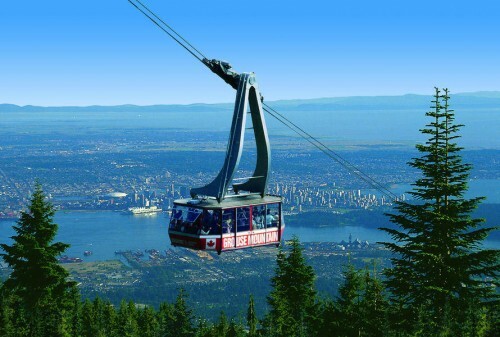 Cheap flights to Canada: Vancouver, Calgary or Edmonton for €290! We have an amazing promotion on flights to Canada for less than 30% of the regular price. Return flights from Brussels, Amsterdam, Milan, Venice or Rome to Vancouver are available for only €290! You can also fly to Calgary or Edmonton for just few Euros more. Regular tickets to Vancouver cost around €800! The departures from Brussels are from Brussels Midi train station, you need to take this train to Amsterdam airport. On return flight you can end your trip in Amsterdam. You can also combine the tickets to book open-jaw flight e.g. Amsterdam-Vancouver/Calgary-Amsterdam. Travel dates are from April to October 2018 with exception of summer holidays. 23 kg luggage is also included in the price. Getting to Brussels, Milan or Amsterdam is easy from any major airport in Europe, use our search form on the right to find a connecting flight or you can also go with cheap Flixbus buses. Try AirBnb if you look for accommodation and get €28 free credit from RushFlights! Book your tickets fast before this will be gone very soon! Vancouver is rather expensive town. You can get cheapest hostels from approx €20 per night. Use our search engine to compare all the accommodation options online at once. « Super cheap flights to Philippines: Manila in main season for €327!